DB Schenker's 66001 on the 6V07 Round Oak to Margam empty covered steel at Purton running 180 minutes late on the 30th June 2015. 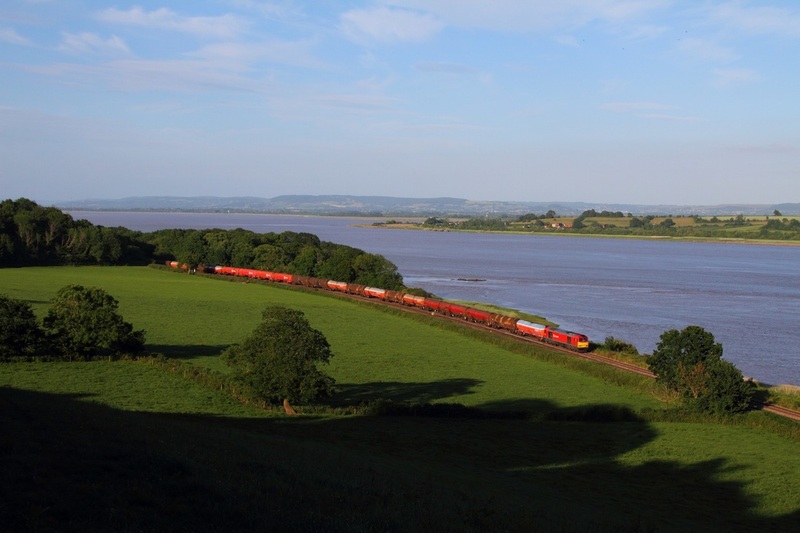 DB Schenker's EWS liveried 66009 on the 6V69 Bescot to Newport A.D.j at Purton on the 30th June 2015. 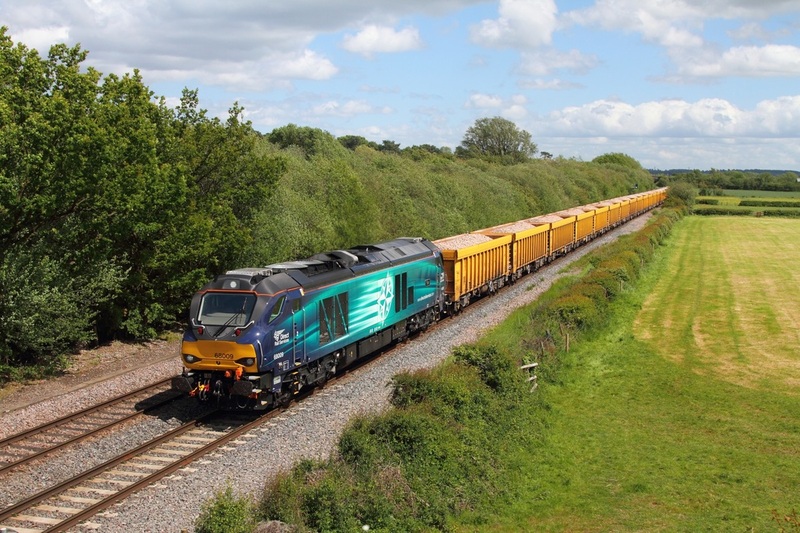 Arriva Trains Wales 67002 leads the WAG express through Llanellen, Abergavenny working as the 1W96 Cardiff Central to Holyhead on the 30th June 2015. 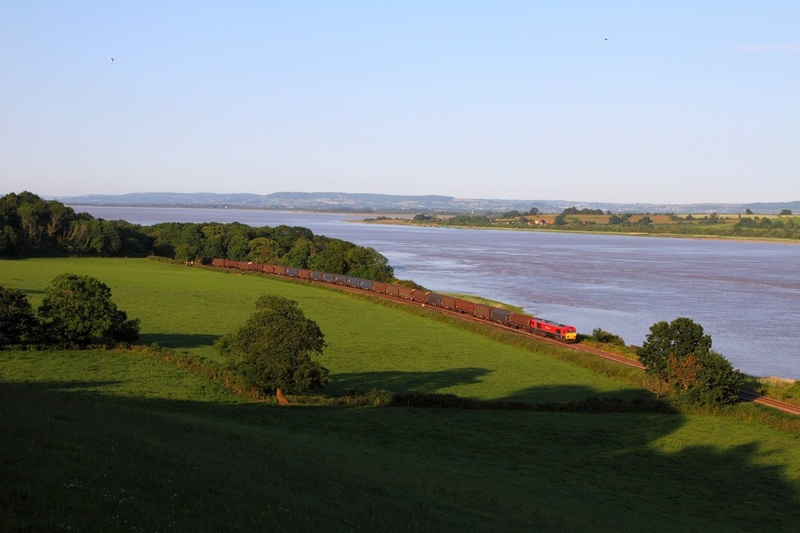 DB Schenker's 60100 powers the 6B47 Westerleigh to Robeston empty murco bogie tanks at Purton on the 29th June 2015. 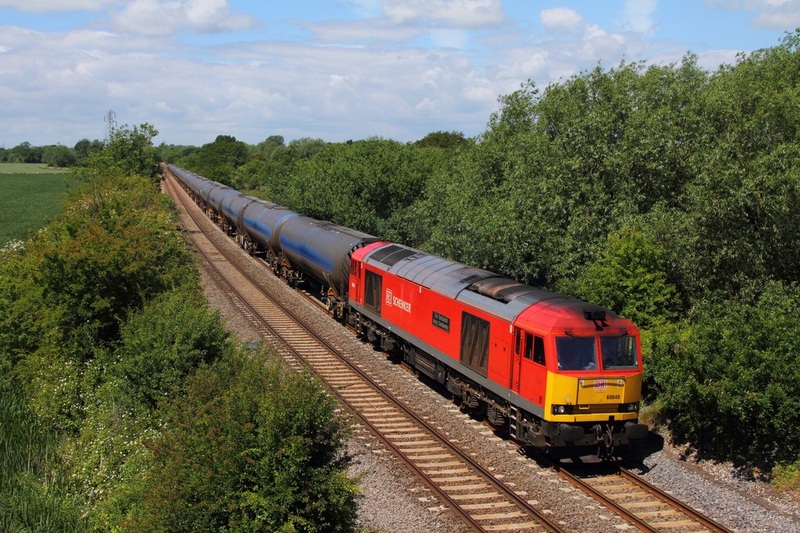 DB Schenker's 60040 powers through Arleston with the 6E54 Kingsbury to Humber tanks on the 27th June 2015. 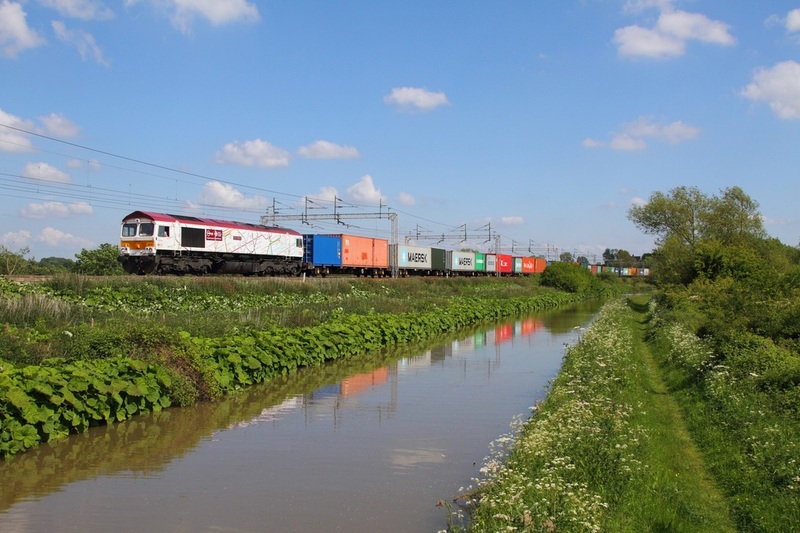 DB Schenker's 66058 hauls 60010 (which had failed with a loss of power) through Arleston near Barrow upon Trent running over 80 minutes late working the 7D99 Bescot to Toton on the 27th June 2015. 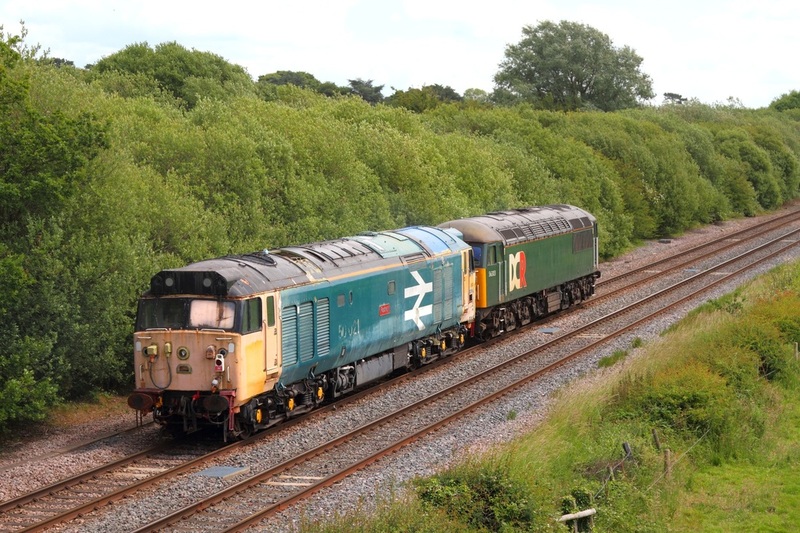 50021 "Rodney" is hauled by DC Rail's 56303 as the 0Z50 Tyseley to Butterley (Midland Railway Centre) at Barrow upon Trent on the 27th June 2015. The train was terminated as the Railvac the locomotives were intending to collect was not ready for forward movement. 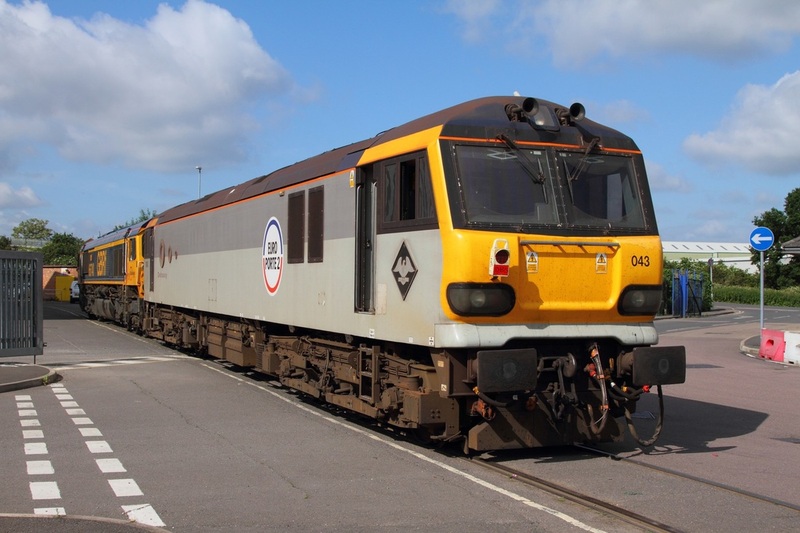 Therefore the pair returned to Derby and moved to Eastleigh the next day light engine. 50021 now joins 50026 at Eastleigh for continued restoration. 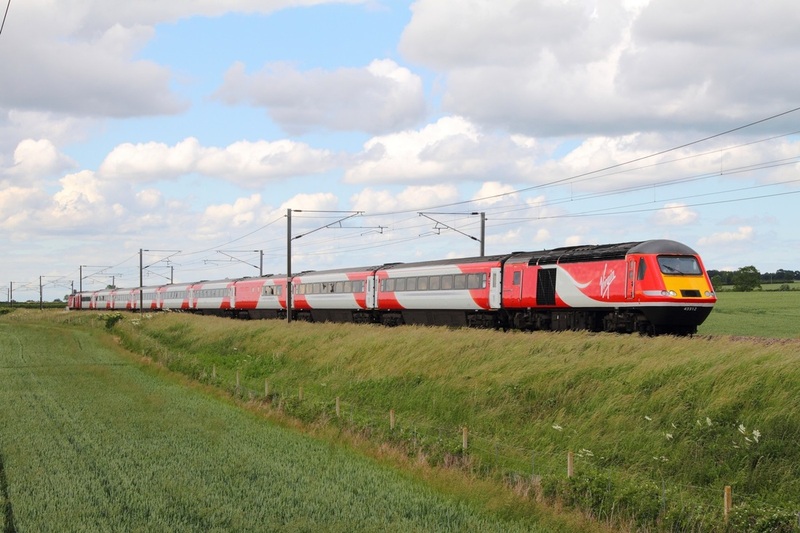 Virgin East Coast liveried 43312 leads 311 on the 1E13 07:55 Inverness to London Kings Cross at Claypole on the 25th June 2015. 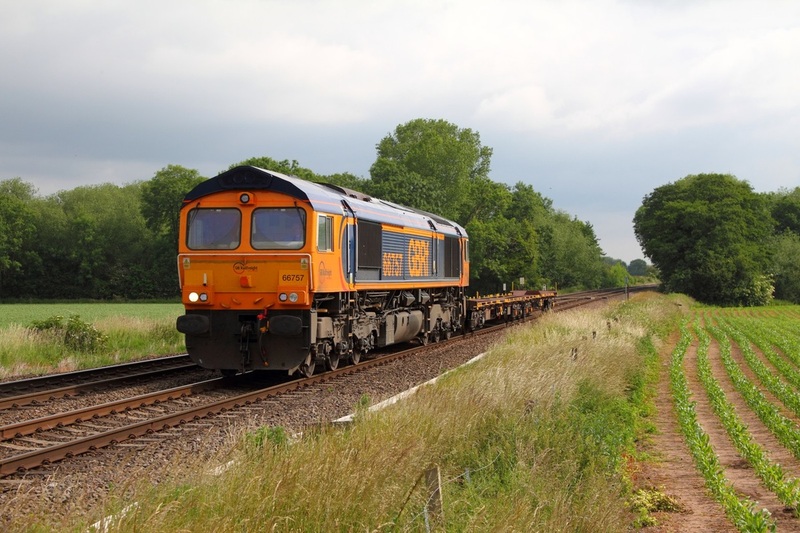 GB Railfreight 66757 hauls the 4M71 Peterborough to Hams Hall at East Goscote on the 25th June 2015. 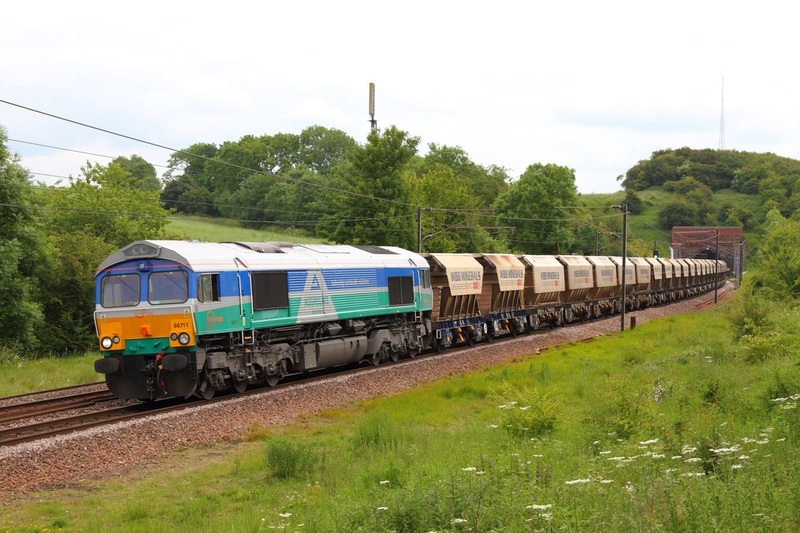 Aggregate industries liveried 66711 powers the 6E84 Middletown Towers to Monk Bretton at Stoke tunnel on the 25th June 2015. 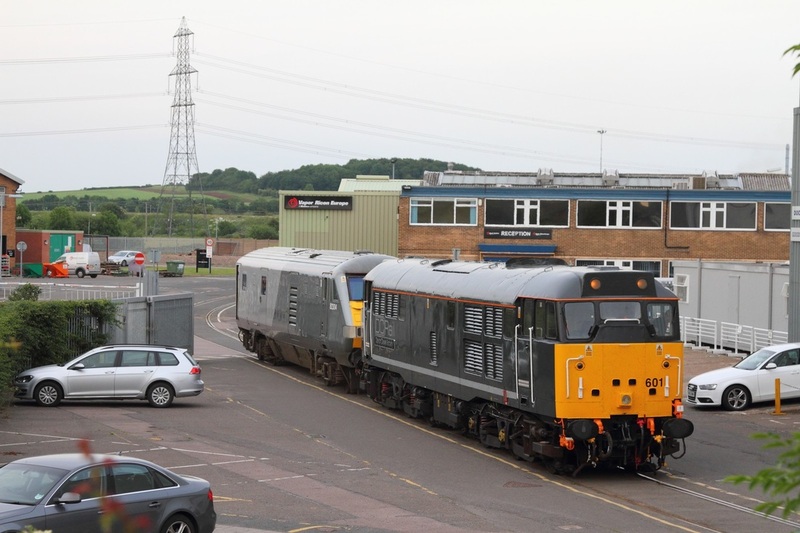 47813 hauls 82139 on the 5Z47 Norwich to Loughborough Brush at Loughborough on the 24th June 2015. 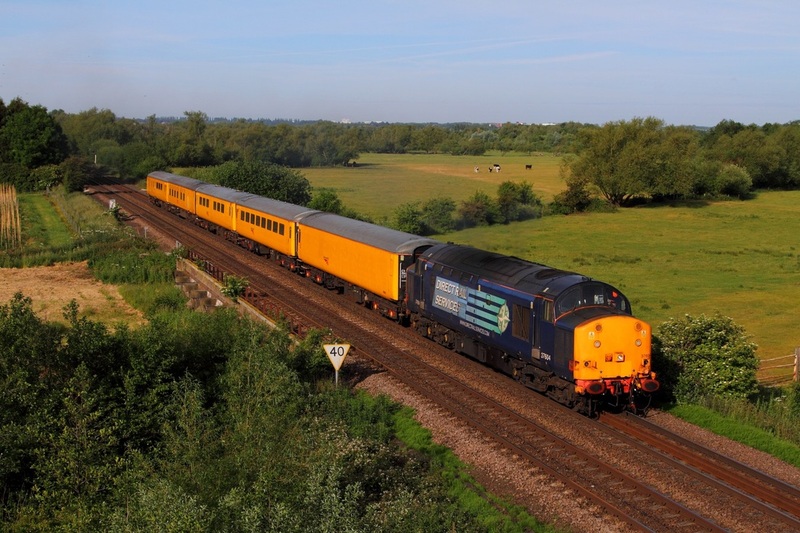 50007+DR73925 at Ashwell on the 6Z25 Ely to Washwood Heath on the 23rd June 2015. 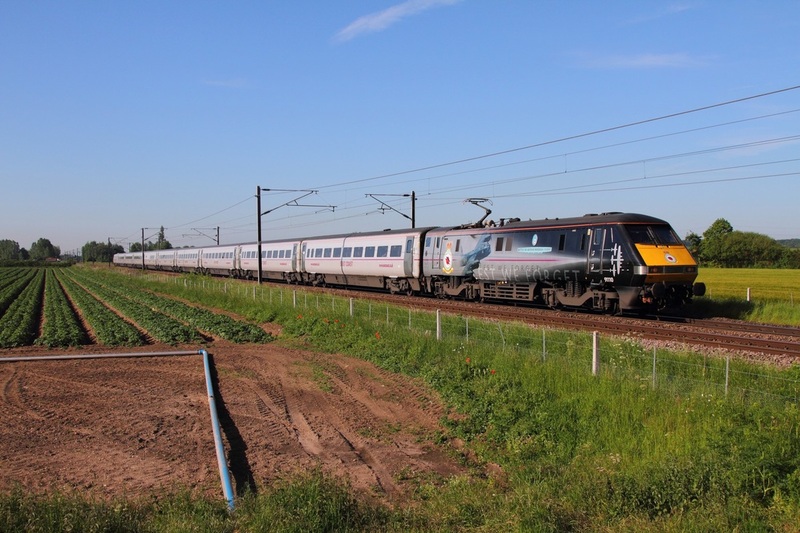 43312+43311 on the 1E15 Aberdeen to Kings Cross at Frinkley Lane on the 21st June 2015. 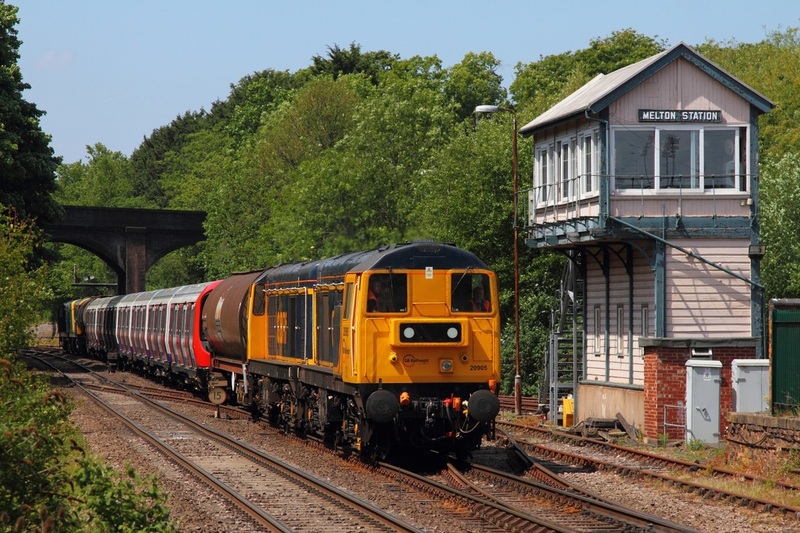 47818 hauls Caroline on the 2Z02 Derby RTC to Derby RTC at Normanton on Soar Loughborough on the 18th June 2015. 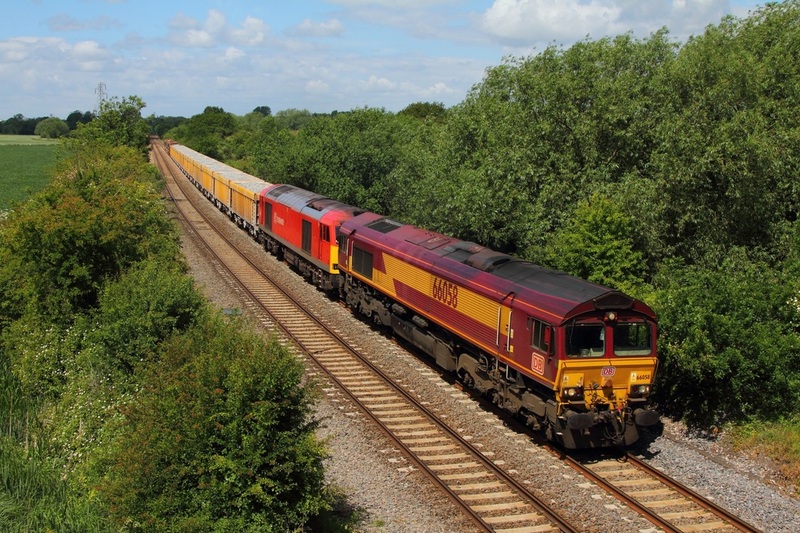 On Test: 66769+768+73965 on the 0Z74 Loughborough Brush to Loughborough Brush via Leicester and 66603 on the 6M91 Theale to Earles at Barrow upon Soar on 18th June 2015. DCR 31601 propels Chiltern DVT 82304 into Brush Loughborough works having worked the 5Z34 from Wembley yard on the 16th June 2015. 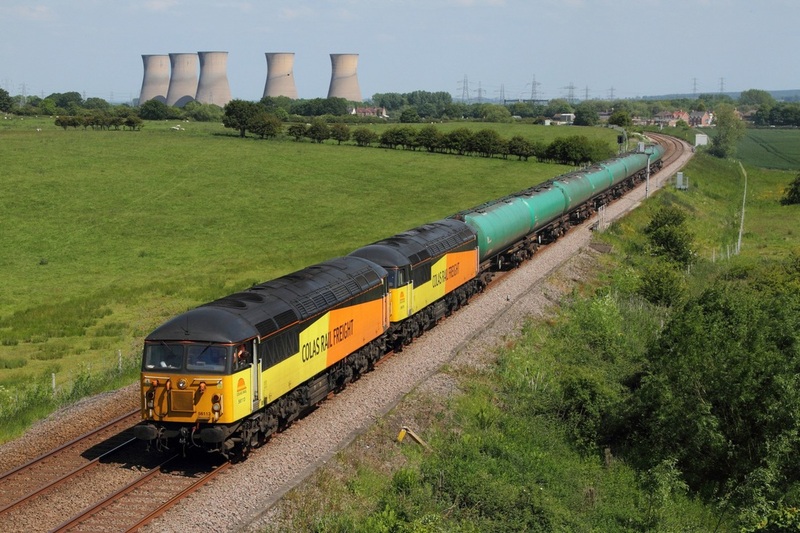 GBRf Medite 66709 passes Willington hauling the 6Z32 Tinsley to Coton Hill on the 15th June 2015. 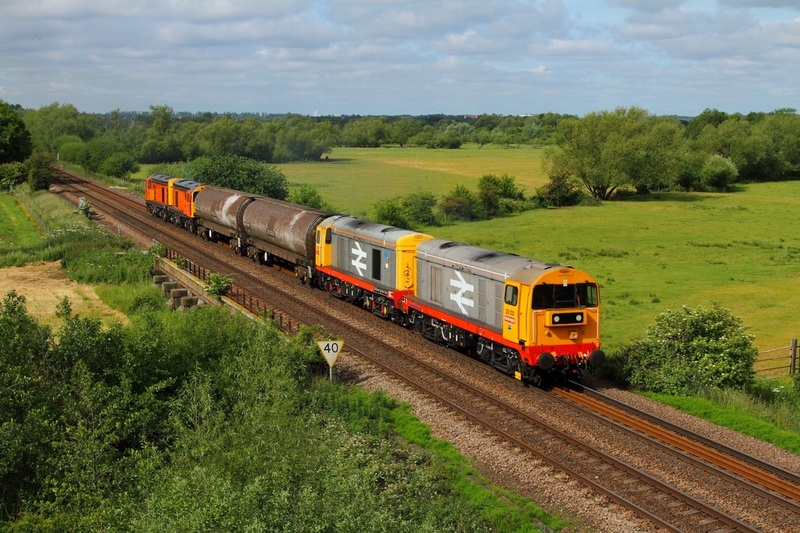 Railfreight liveried 20132 leads 20118 and HNRC 20311 and 20314 on the 6M24 Derby to Old Dalby LUL stock barrier positioning move at Syston bypass on the 15th June 2015. 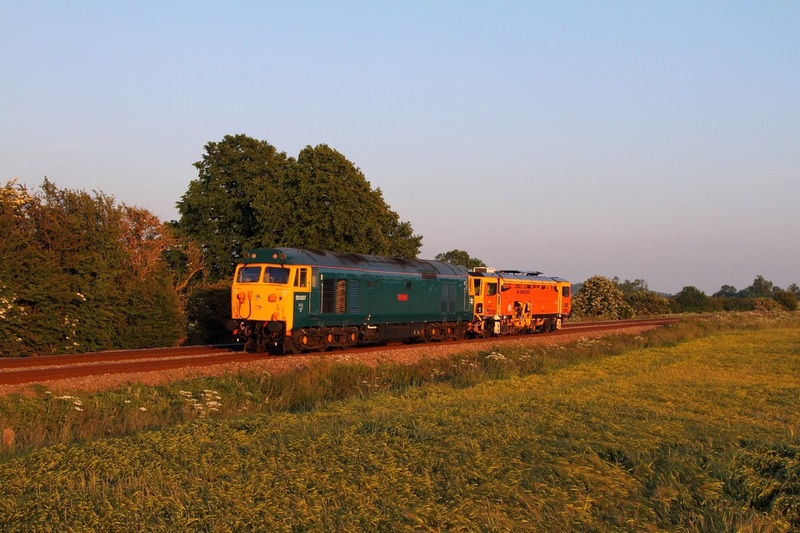 37604 on the 3Z10 Derby RTC to Old Dalby at Cossington on the 15th June 2015. 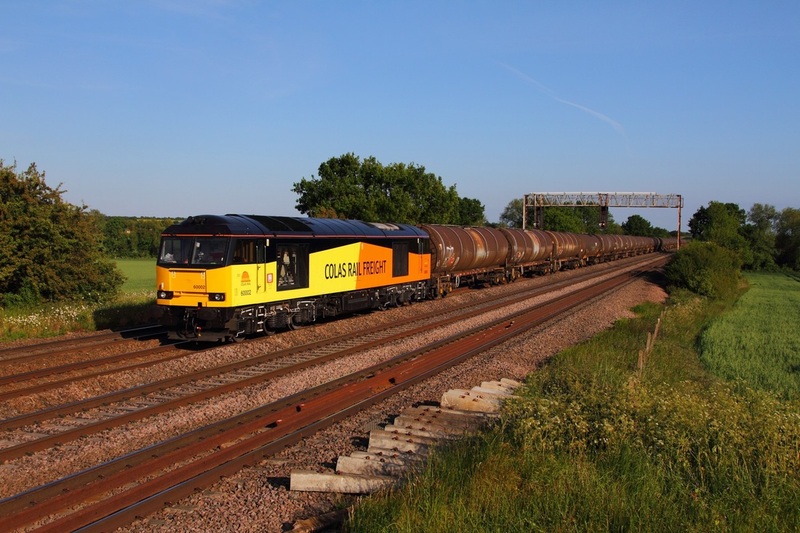 Colas Rail 56113 leads 56078 on the 6S96 Sinfin to Grangemouth at Willington (on the Uttoxeter line) on the 11th June 2015. 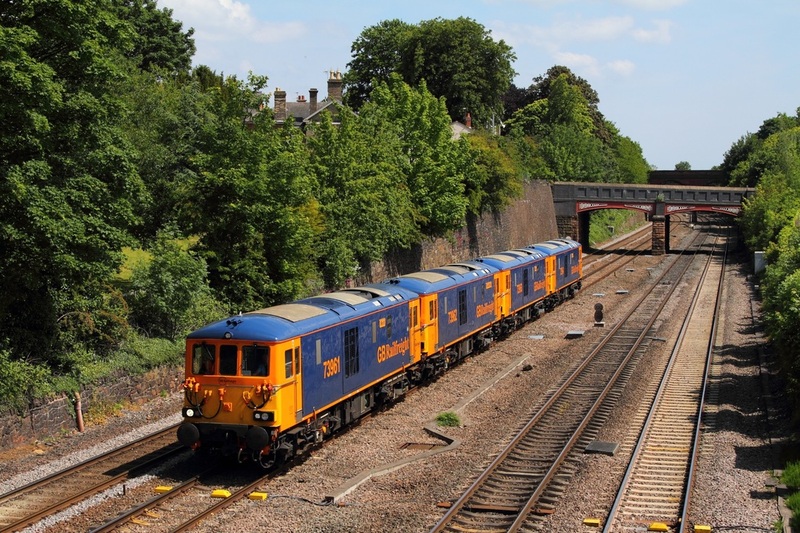 GBRf 73961 leads 73962, 73963 and 73964 working as the 0Z73 Tonbridge to Brush Loughborough at Barrow upon Soar on the 11th June 2015. 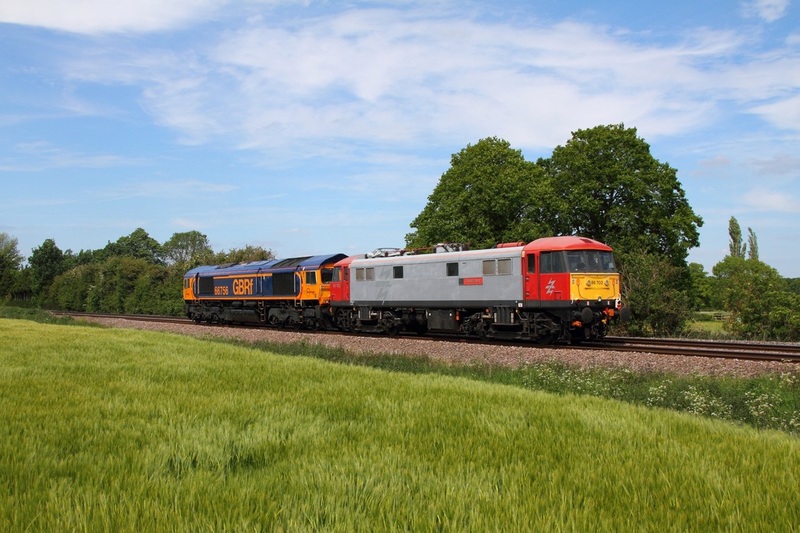 20905 leads 20901 tnt 20096 and 20107 on the 7X09 Old Dalby to West Ruislip at Melton Mowbray on the 11th June 2015. 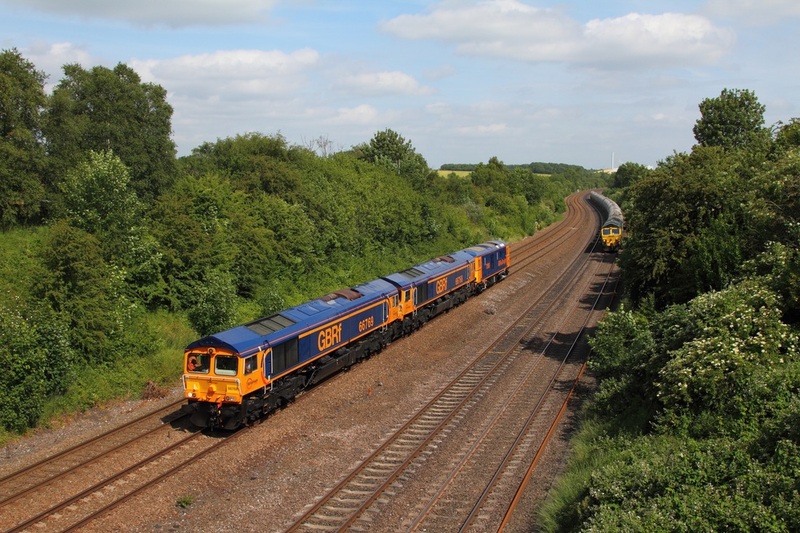 GBRf 66761 leads 66735 on the 6Z80 Whitemoor to Wellingborough on the 11th June 2015. 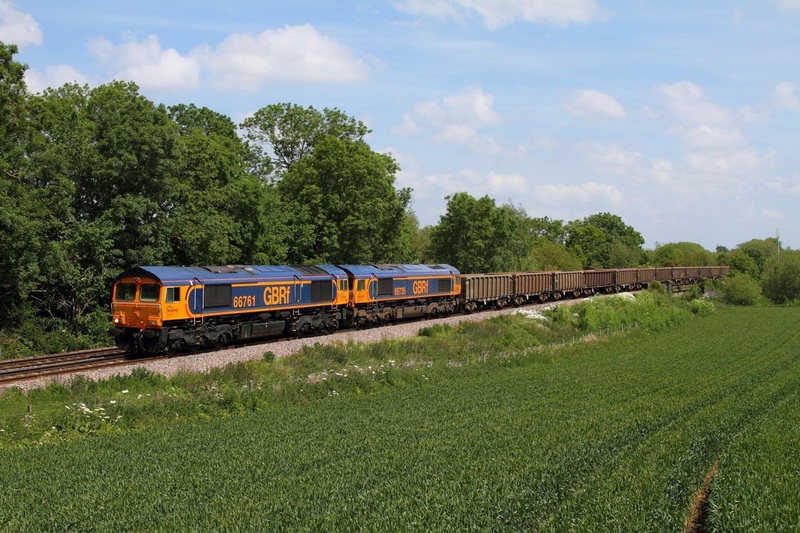 20905 leads 20901 on the 7X09 Old Dalby to West Ruislip underground stock move at Branston with 20096 and 20107 on the rear on the 11th June 2015. 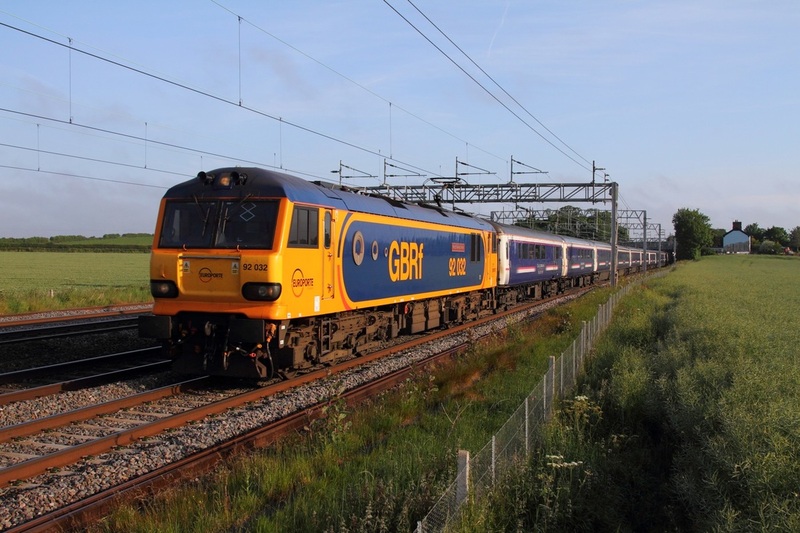 GBRf 92032 works the 1M16 Inverness to London Euston Caledonian sleeper at Grendon on the relief on the 11th June 2015 running 40 minutes late following the failure of 67007 on the 1B01 - the Fort William portion of the sleeper which was instead worked by WCRC 37516. 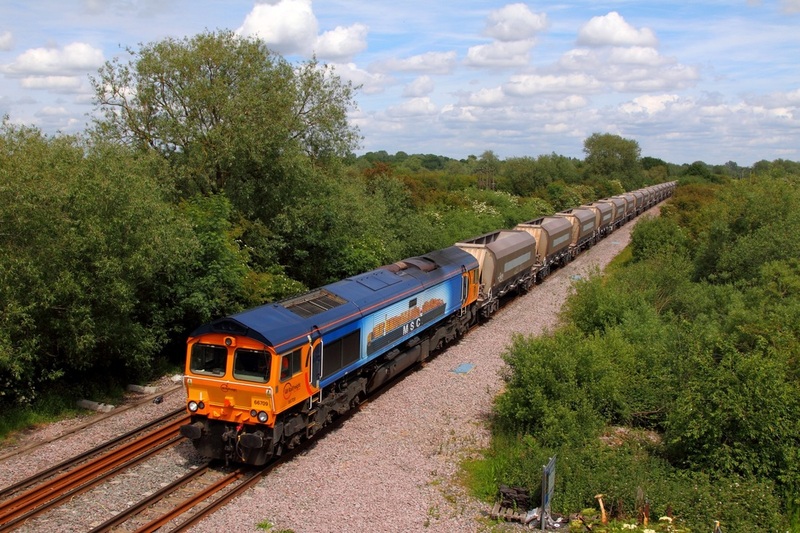 GBRf 66718 leads the 6K50 Toton to Crewe engineers at Barrow upon Trent on the 10th June 2015. The engineers train awaits at Stenson bubble for its 16:04 path onto the mainline. 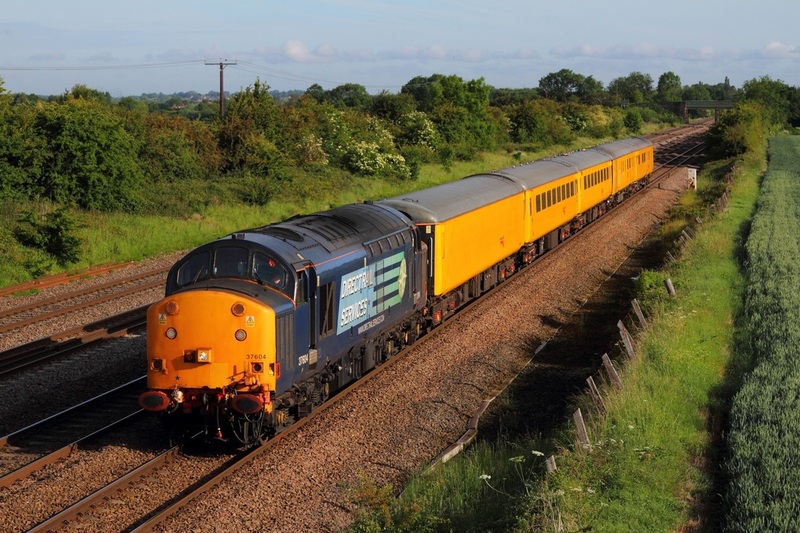 Colas Rail liveried 60002 leads the 6E38 Colnbrook to Lindsey tanks at Cossington on the 10th June 2015. 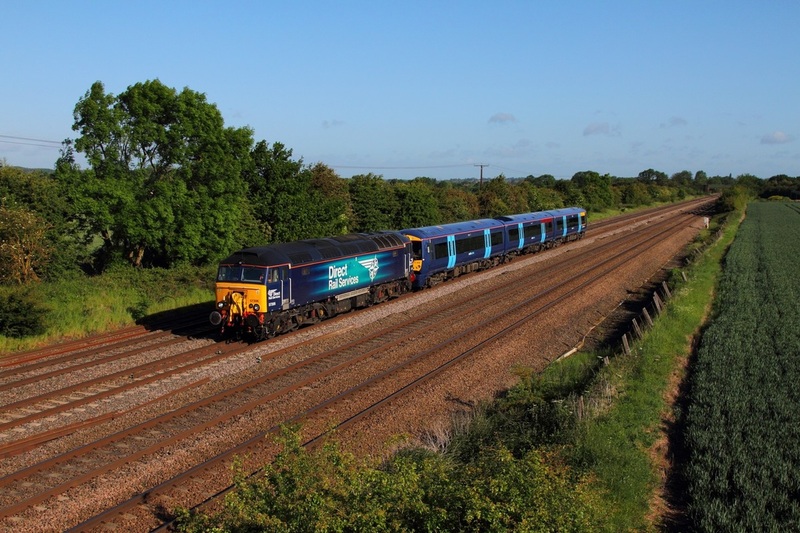 DRS 57306 hauls 375306 at Cossington working as the 5Z58 06:40 Derby Litchurch Lane to Ramsgate on the 6th June 2015. 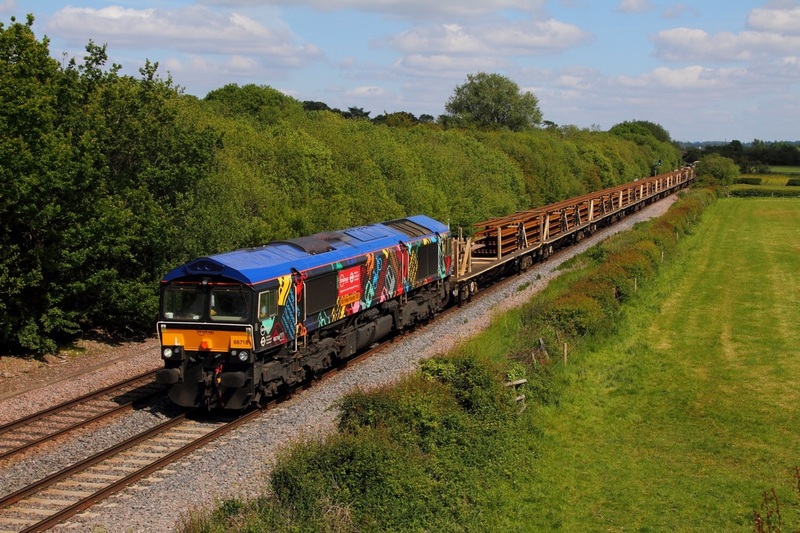 London Underground tube map liveried 66721 accelerates from Brinklow at Ansty powering the 4M23 Felixstowe to Hams Hall on the 5th June 2015. 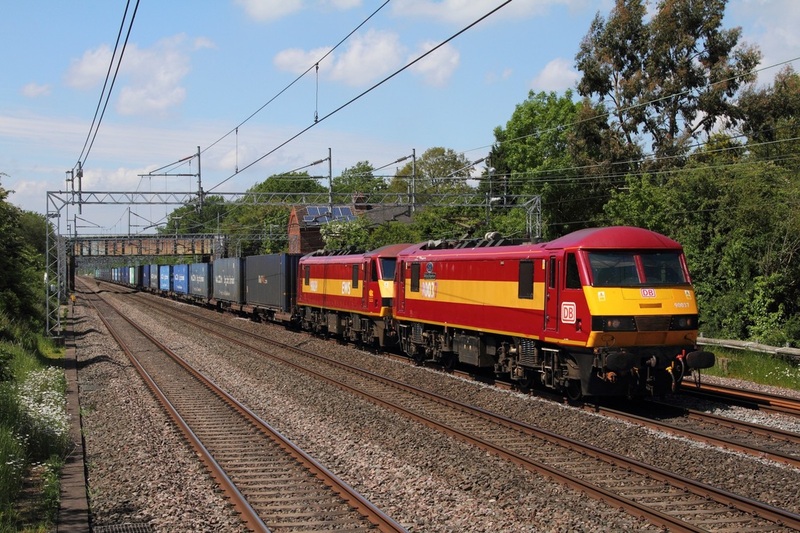 DB Schenker's EWS liveried 90037 leads 90039 on the 4M25 Mossend to Daventry at Cathiron on the 5th June 2015. 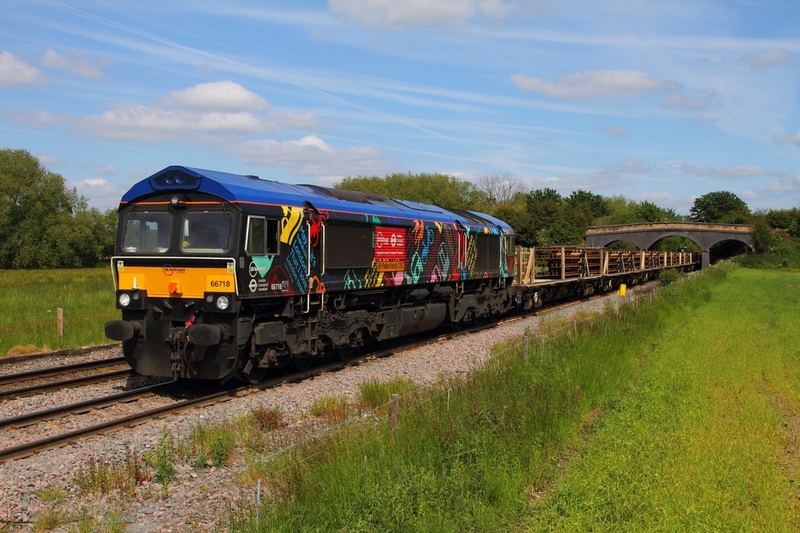 66756 hauls ETL liveried 86702 at Ashwell east of Melton Mowbray on the 4th June 2015, running as the 0M86 Willesden to Leicester TMD. 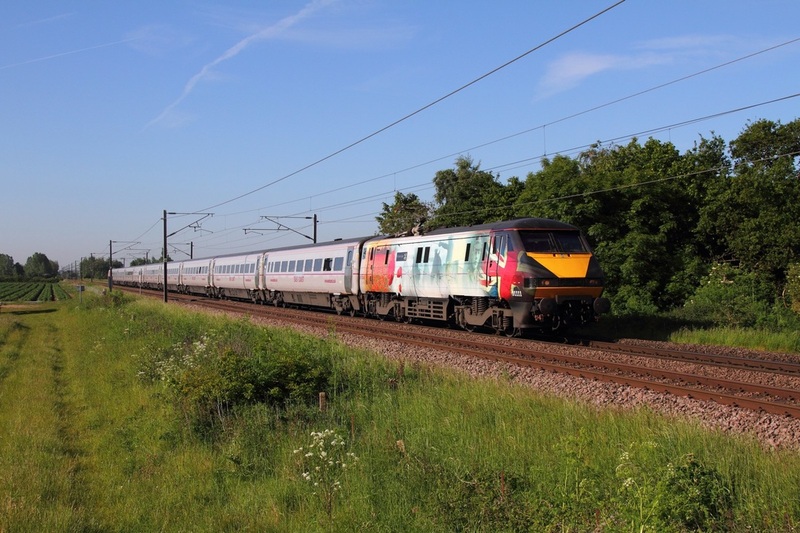 Battle of Britain celebrity liveried 91110 works the 1S05 0700 London Kings Cross to Edinburgh at Cromwell on the 4th June 2015. 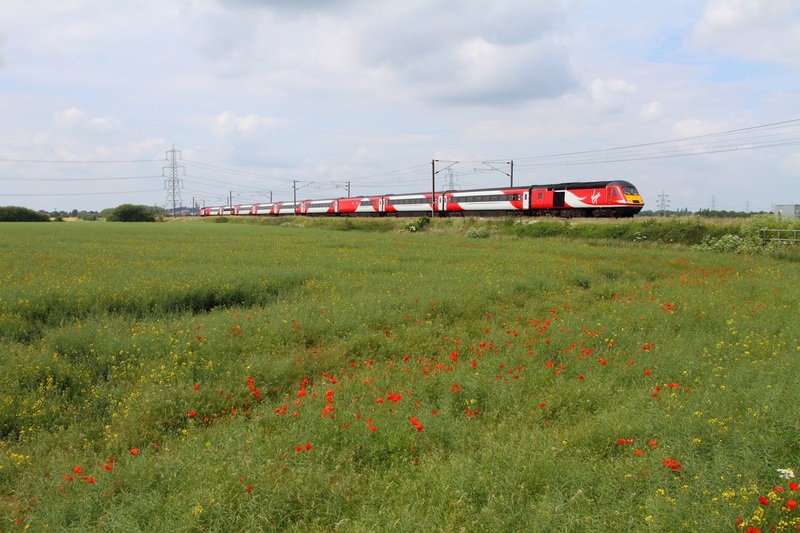 91111 hauls the 1D02 06:30 London Kings Cross to Leeds at Cromwell on the 4th June 2015. 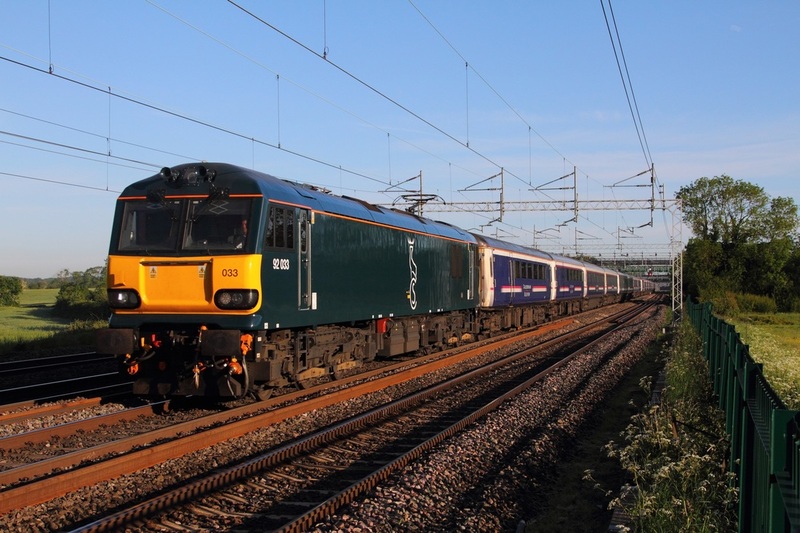 Caledonian sleeper liveried 92033 leads the 1M16 Inverness to London Euston on the 4th June 2015. 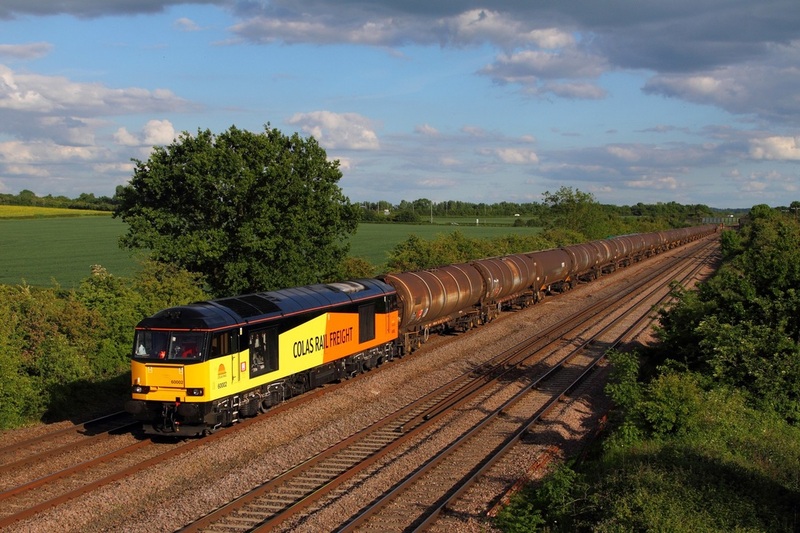 Colas Rail liveried 60002 hauls the 6E38 Colnbrook to Lindsey at Cossington on the 3rd June 2015. 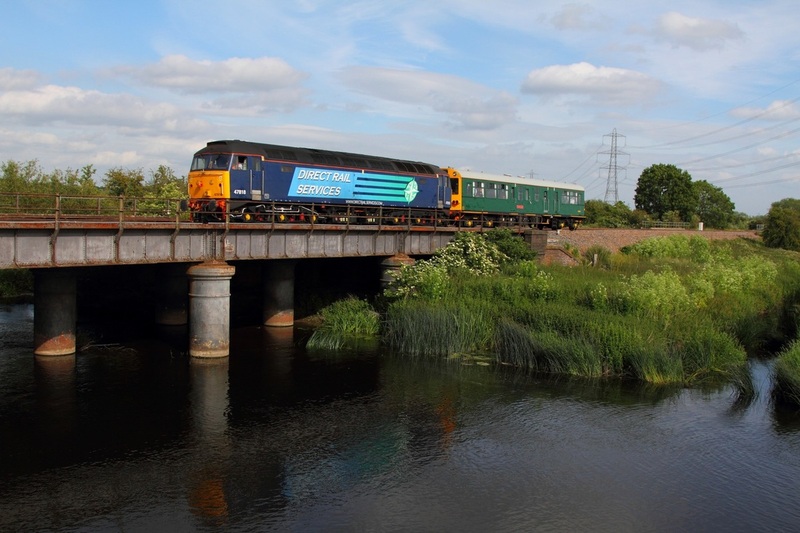 DRS 68009 hauls the 6U77 Mountsorrel to Crewe Basford Hall at Barrow upon Trent on the 2nd June 2015.